S03xE02 – The episode picks up with half the group in the cafeteria just after Rick has chopped off Hershel’s leg and found live prisoners watching on. Hershel is bleeding out and they need to get him back to their cell block base, the prisoners are taken back by the fact that there are people in their cafeteria. One stands out in particular, and we’re going to call him Jerkface. His name is really Thomas, but I like Jerkface. He immediately tries to show them he’s boss, but the group doesn’t care they’re more concerned about Hershel. So they head back to their cell block, and the prisoners follow. They get Hershel in behind the bars of the cell block and Daryl has stopped the prisoners short of the cell block holding them off with T-Dog’s help. Rick soon rejoins Daryl and T-Dog when he starts to hear the prisoners arguing about that particular area being theirs. Rick negotiates with them that they will help the prisoners clear out their own cell block in exchange for half the food in the cafeteria. The prisoners agree, and they start off to find the cell block to clear out. 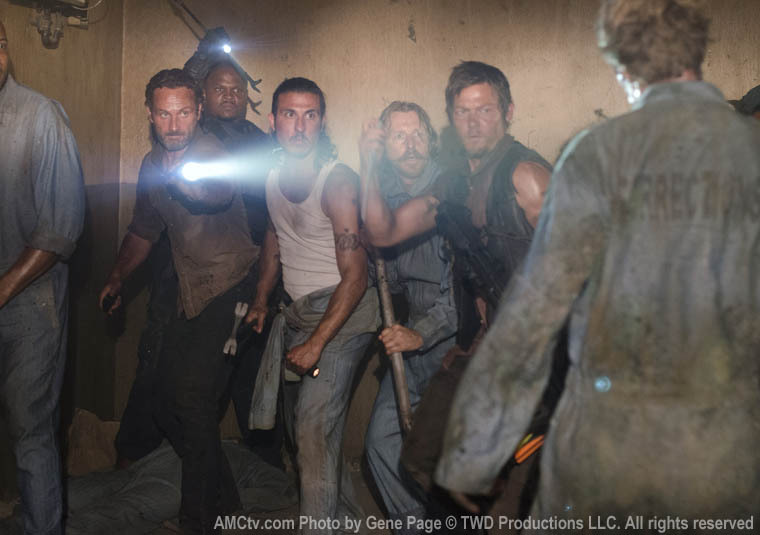 Rick makes his way back to Daryl and T-Dog with the remaining two prisoners. One is begging for his life the other isn’t. Rick decides they can live and they make their way to the remaining prisoner’s new cell block. Unfortunately it’s full of dead bodies. It should keep them prisoners busy for a bit. Back at the home base Hershel is fighting for his life, and they aren’t sure if he’s going to make it. Rick gave them his cuffs before he headed off, and Hershel has been locked up. Carol asks Glenn if she can talk to him, and he’s reluctant to leave his post, but after some reassurance he goes. They are walking outside and Carol tells Glenn her plan to practice a c-section on a walker in preparation for Lori, who may have to have a c-section because she did with Carl. So Carol kills the walker, and while Glenn distracts the other ones, Carol brings the now dead walker inside the grounds. Back to Hershel who has now stopped breathing and his daughters stand by watching helplessly. It takes Lori to jump into action and give him CPR. This works, but it was touch and go for a minute there. 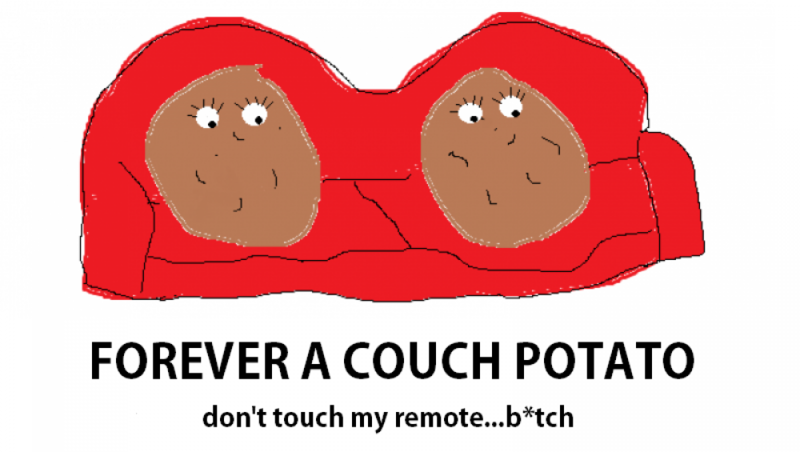 Emphasis on touch. See what I did there? I’m funny. So Hershel survives the ordeal, but only barely. He still looks like death, but not walker death quite yet. Man I crack myself up. Carol starts to cut up the walker and it feels like something bad is going to happen, and then you see that someone is looking in on her from afar. My idea is that it’s Merle. Rick and team come back to base, and find out that Lori saved Hershel. Rick and Lori go outside to talk and Lori lets Rick know she still loves him, and she knows she’s been a bad wife, but wants to work on it. Rick isn’t so receptive, and gives her a nice touch on the shoulder and thanks her for saving Hershel. Apparently forgiveness isn’t on the agenda right now. Best of the episode: Honestly Rick killing Thomas aka Jerkface. The guy was nothing but a problem, he had to go. Worst of the episode: Carl treating his mother badly. It was good Beth yelled at him, it bruised Carl’s ego, which he needed. Nothing like getting reprimanded for being bad to your mom by your crush. Where did this episode leave us? : Now that they’ve cordoned off a good chunk of the prison, and are able to make it to the cafeteria, will they be able to share the space with the two remaining prisoners? And how much good is Hershel going to be now that he’s less half a leg?